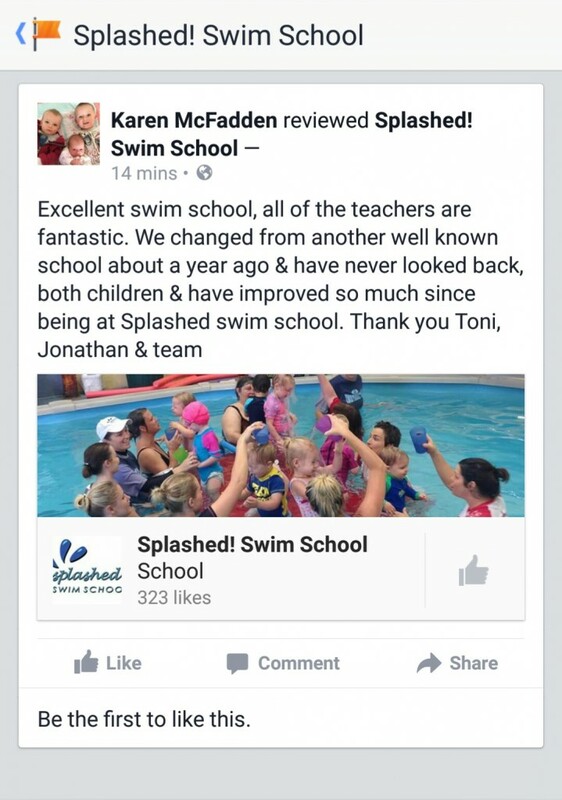 Splashed is an amazing swimming school and a very caring family business. I have had the pleasure to see my daughter progressing though the levels from the baby class to jelly fish level with the help, support and patience of everyone of her teachers. The small classes make it personalised and individualised, creating an atmosphere of confidence amongst both parents and children. The evaluation system helps to ensure all children have achieved basic capabilities before entering a new level, this is so that they don’t struggle in the next level. Last but not least, the friendly staff are always willing to help you with any concern from a lost item to behavioural issues. Splashed has been fantastic for teaching my children water skills and confidence. From Mums and Bubs classes to Dolphins we’ve always been happy with the consistency we’ve received from the friendly educated swim teachers. Splashed is not a huge, overwhelming swim school so I find my children concentrate more with less distractions and they receive more individual attention. We love Splashed! We loved Splashed Swim School for our girls. The smaller pool and friendly staff were fantastic, especially when the kids were little. That transition from mum in the pool to mum out of the pool was difficult for my eldest, until we started at Splashed. Then it happened very smoothly. Now both girls swim beautifully. We are very sad to be leaving, but glad to have chosen the Splashed team to teach the girls to swim. Thank You!! Three of our four kids have learned their strokes at Splashed. Recently our big boys moved onto a bigger pool for squads and their stroke was applauded and really stood out as smooth, strong and really finely perfected against the other kids from different schools. Even though it might be easier to have all four kids in one swimming school, I will always have them learn their strokes at Splashed after seeing this. Toni and her team are so amazing with the little ones, and big ones, and are really awesome friendly people to boot. Love Spashed Swim School! We have moved to Splashed Swim School recently for swimming lessons for my 2.5 year old and love it. Toni is great with the kids and also helps the parents understand why each activity / skill is being taught. I would highly recommend it! I’m extremely happy with the programs and assessments at Splashed! Both my kids, Tyler and Eve enjoy their swimming lessons. Tyler is progressing very well and has responded well to the instructors. I believe Eve will have the same outcome as she grows. Both Daniel and I are pleased with the programs and happy seeing our children thrive from the skills they are taught and putting it into practice. We absolutely love Splashed! We switched from another local school and my son has improved in leaps and bounds – we have not looked back. The way that swimming is taught all makes sense and even with the fun and musical activities I can see what they are trying to teach the kids and why they are doing it. Sarah who teaches my son is amazing and extremely patient (especially with a little boy who doesn’t always listen to want to do what he is told) and he talks about her whenever we go swimming anywhere. I would highly recommend Splashed to anyone looking to get their children familiar with water and then learning to swim. We have been with Splashed now for five years and definitely wouldn’t look anywhere else. Our eldest, now seven, started when she was 2 and our second when she was around a similar age and who is now 4. We have a third daughter and she will be splashing in the pool working her way up the program in the near future! Staff are always warm and friendly and focus individually on all children’s needs. Class content is varied and adapted depending on your child’s capability and children are able to dictate what they feel comfortable doing. They are never forced to do something they are not comfortable with! I like to see that Toni also gets in the water with new staff and really trains them up. I am sure at some centres staff do their course and then get thrown into the pool with a class. I really feel she is passionate about what she does and wants to ensure the other staff are transferring that on through their teaching as well. Thanks for the last 5 years and the next 5 ahead probably!! I’ve had both my boys in classes and am extremely happy with their swimming. The teachers are very friendly and encouraging. 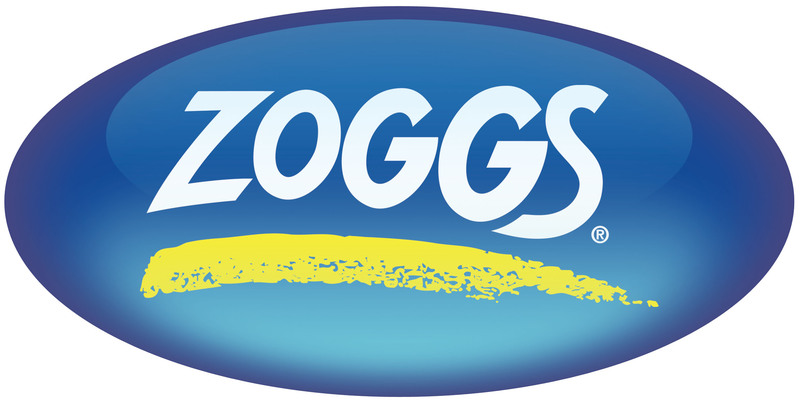 I would recommend highly. My girls have significantly improved since starting at Splashed, after 10 months or so at another local swim school with no change whatsoever. I’m also grateful that they are taught without bubbles or floaties as these are not available to them should they fall into a pool at home or elsewhere, which greatly reduces their chance of drowning. We have been sending our 8 year old daughter to Splashed for just short of 5 years. Initially, we moved to Splashed as a temporary measure only while the previous swim school she attended closed for pool renovations. As we had struggled with her fear of water & swimming we felt it best not to take a break from swimming & as recommended by a friend, we booked her in to Splashed. Within the 4th lesson, my husband & I noticed an extensive improvement in her technique & stroke & decided then & there, this was the swim school for her. If you are looking for a swim school who will teach correct technique & will correct if necessary, are patient enough to help children overcome their fear of water & want to deal with friendly & accommodating staff who listen to you, then this is the swim school for you. We are eternally grateful for everything Toni & her team have done for our daughter. Aidan had a wonderful four days at the school holiday intensive program with Cody and we saw big improvements in his swimming. I especially liked the individual attention that Cody was able to give each child in the class and how rather than just saying ‘good job’ every time, he gave them and honest and genuine feedback – when they tried and succeeded he told them and when they needed to fix something or try harder he told them. That’s not something you see at other swim schools, he was present and focused 100% of the time and it showed in the results. Thanks for another successful session of Fast Track! I am very happy with the swimming lessons that my grandson Erik is receiving from Splashed. Toni and her staff have a very firm yet fun approach to learning. Erik is always so happy to attend and is progressing well. Many thanks! We have been coming to Splashed Swim school since my eldest daughter was old enough to start lessons on her own and now she has almost completed the full 6 categories of learn to swim and has become a very competent swimmer in all strokes. My second daughter started in the mum’s and bub’s and loves going to swimming lessons. I’m very happy with the teachers ability and the personal attention each teacher gives in every lesson. Toni is a fabulous and dedicated swim teacher and looks after her clients needs when ever possible. Toni will always go out of her way to help you get the right class for your kids to suit our busy schedules. 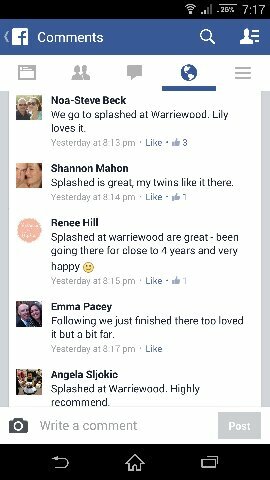 I also like that Splashed Swim school is like a family. I taught swimming when i was younger and I can highly recommend Splashed Swim school for their expertise and personal touch.